Many of my good friends were shocked that this recipe wasn’t the first recipe I posted on my blog. I’ve been making these since the age of 10. In fact, I didn’t make much of anything else until I was about 22 years old. It was my go to offering at college potlucks and my family requested this treat every holiday season. I just made a double batch of sausage balls for my Christmas Eve dinner. It was the favorite appetizer, as always, and then provided a tasty snack for many days following. 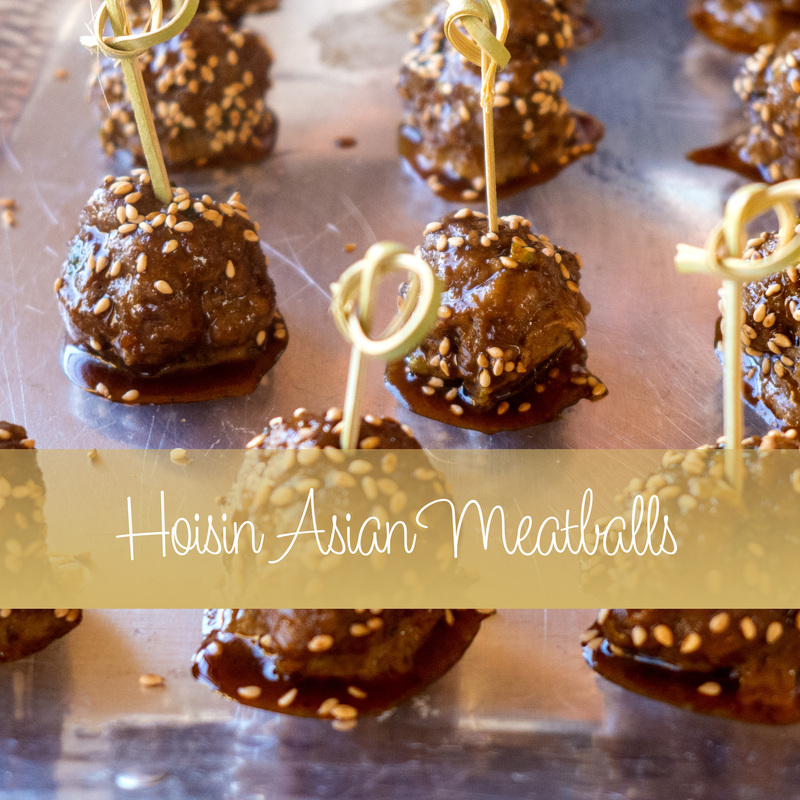 This was such a common party treat for us growing up, I thought everyone ate sausage balls. When I went to college in New York and no one had heard of them, I thought it was a Southern treat. 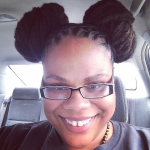 However, my wife, a Mississippi native, had never tried a sausage ball until I made them for her shortly after we started dating 13 years ago. This has to be the simplest recipe ever, but I’ve had sausage balls that have gotten the ratios off. There are only three ingredients and it is important to have the right amount of each. 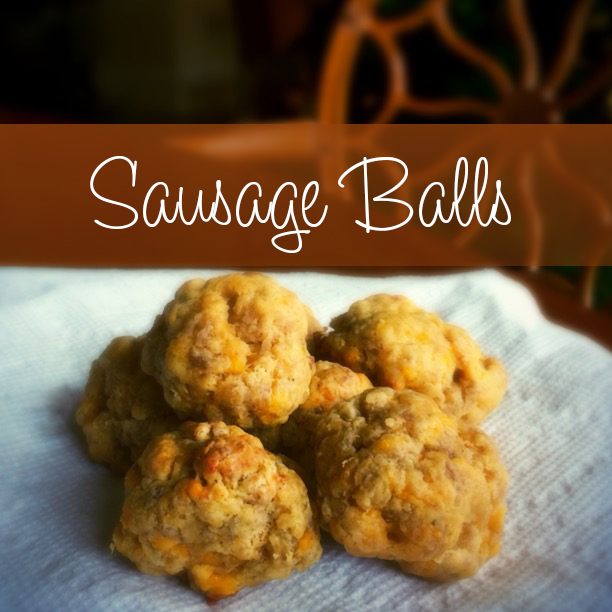 If you use too much sausage, you get sausage balls that are too greasy and slimy in texture. If you use too much biscuit mix, you get a sausage ball that is too dry. These are great for a party or a game night and can be frozen for later when you’re craving a late night snack. Sometimes I like to pair it with apple sauce or tomato soup to make it a yummy lunch. Work uncooked sausage and grated cheese into biscuit mix with your hands. Roll into balls no smaller than 1 inch. Bake on an ungreased cookie sheet at 350 degrees for 15 to 25 minutes depending on the size of your sausage balls. You want them to be golden brown. This recipe freezes very well. Amount this recipe yields depends on the size you make your sausage balls. Hey! 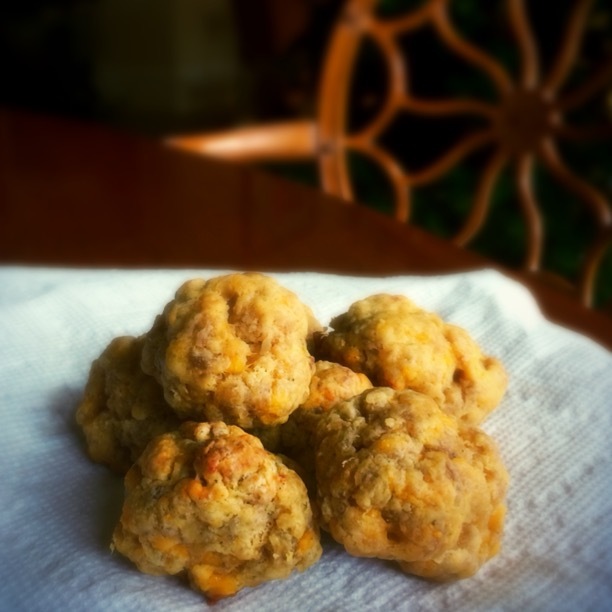 Check out this blog entry, "Sausage Balls". And while you're at it, check out the entire blog: http://testedtriedandtrue.com/sausage-balls/. Discover Life. Onward and Inward!